The Bar Exam Toolbox team developed the Self-Study Program to help you manage your own study without buying an expensive commercial bar review course, which may not even suit your personal needs. We’ve taken the knowledge gained from 9+ years of helping bar studiers find bar exam success and created this program with tools and resources to help you formulate your study plan, learn the substantive law, write passing essays and performance tests, and keep your cool on test day. Ready to go? Click here to sign up. What Does the Self-Study Program Include? 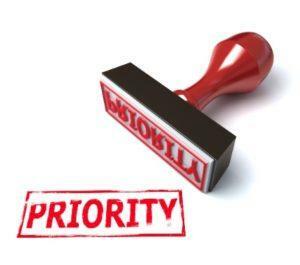 The Self-Study Program is designed to include everything a dedicated self-studier needs to pass. Here’s what’s included. The Self-Study Program also provides materials to guide you through learning the law, executing a winning essay and performance test, and rocking the MBE. And, because all the preparation in the world won’t help if you have an exam-day meltdown, there’s a section with checklists for exam-day logistics and advice on keeping your cool if things start to go south in the exam room. All together, the Self-Study Program has what you need to pass — on your own terms! Ready to get started? Click here to sign up. 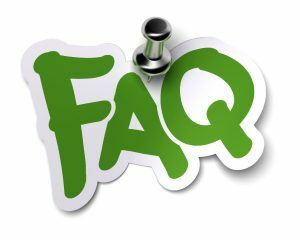 If your question isn’t answered below, please feel free to contact us and we’re happy to help. When can I start the Self-Study Program? The Self-Study Program can be started at any time because the materials are online, on demand. The template study schedules are set up for 16 weeks of part-time study, 8 weeks of part time study + 2 weeks of full-time study, 10 weeks of full-time study, 9 weeks of full-time study, and 8 weeks of full-time study. Here’s what a study schedule looks like (with weekly and daily goals). You’ll also learn how to easily import your study schedule into Trello, where you can track your progress. Can someone make my study schedule for me? Yes! 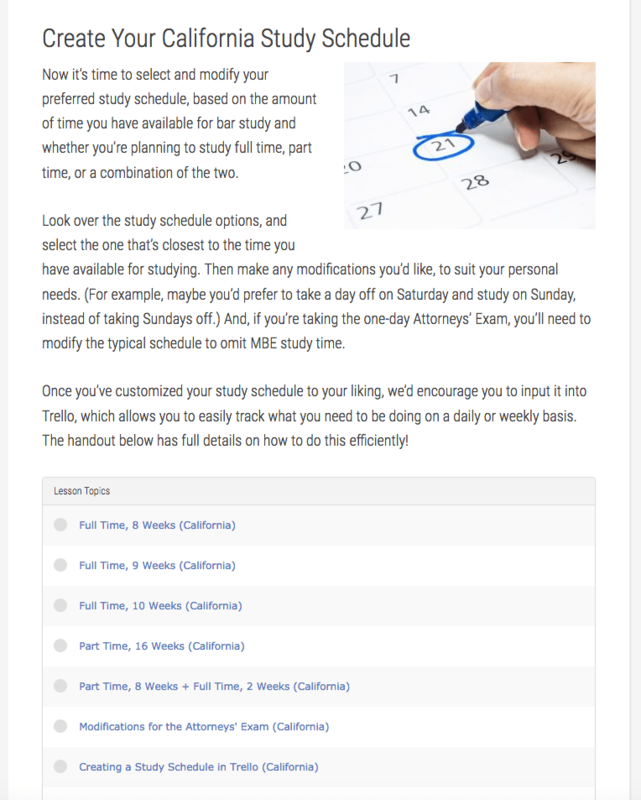 If you’d like the experts at the Bar Exam Toolbox to make your study schedule for you, select the “Add a Custom Study Schedule” add-on when you purchase. What is the Brainy Bar Bank? The California Brainy Bar Bank collects over 15 years of real California bar exam essay questions, more than 180 questions total. Each essay question is categorized by area of law (Torts) and one or more topics and subtopics (Intentional Torts: Assault and Battery). You can browse by category areas, topics, and subtopics, mark your favorites, view the most- to least-commonly tested areas/topics/subtopics, and easily keep track of which questions you’ve recently seen. Want to learn more? See a step-by-step description here. What is the Writing of the Week (WOW) Program? A 10-15 minute substantive video mini-lecture where Lee Burgess — co-founder of the Bar Exam Toolbox and a California bar exam expert — explains how to approach a given substantive bar exam essay. Each week will cover a different substantive area of the law. If the assignment for the week includes a performance test, you’ll also have an introductory video from Lee talking about the ins and outs of this type of performance test. And you’ll get a downloadable copy of the relevant practice question and performance test. A video round-up lecture where Lee reviews the answer and walks you through a self-evaluation to understand how you did. 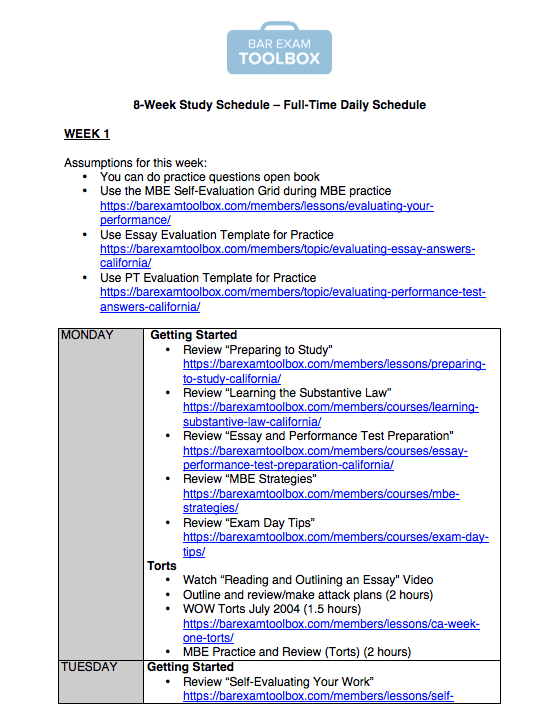 The WOW assignments are included as part of each study schedule so you can use them to support the substantive review you are doing on a given day. What have previous Self-Study students said about the program? To get immediate access to all of the useful resources in the Self-Study Program, select your preferred option below. Got a question? We’re happy to help! Just contact us and ask.